The British government has released its White Paper setting out its Brexit plans. "That is completely unacceptable," Starmer added. The 77-page document, promised after pressure from MPs, outlines the government’s 12 principles, including migration control, taking control of Britain’s own laws, and protecting workers’ rights. The contents of the White Paper are nothing new. The document is structured as list of Prime Minister Theresa May’s previously-declared 12 principles. However, they now represent chapters, with more detail. May had initially resisted publishing a White Paper, arguing her Brexit speech contained enough detail. The White Paper’s release comes just a day after MPs voted overwhelmingly in favor of the government’s Brexit bill. Didn't expect much of #BrexitWhitePaper. But bloody hell there's *nothing* here. This is the essay of someone who didn't hear the question. EU White Paper woefully lacking in detail and content. Like high school assessment stretched to make it look like you'd hit your word count. Many have taken to social media to say the White Paper has been “slapped together,” pointing to data and spelling mistakes throughout the document. Only read the White Paper’s foreword so far but one initial thought: can someone please explain to PM how full stops and sentences work? The White Paper says the government wants to secure the status of EU citizens who are already living in the UK, and that of UK nationals in other member states as soon as possible. However, the White Paper contains very few details on the new system that will be introduced. It also says the UK aims to ensure free trade with European markets. “We will forge a new strategic partnership with the EU, including a wide reaching, bold and ambitious free trade agreement, and will seek a mutually beneficial new customs agreement with the EU,” it says. The UK will also secure new trade agreements with other countries, it says. 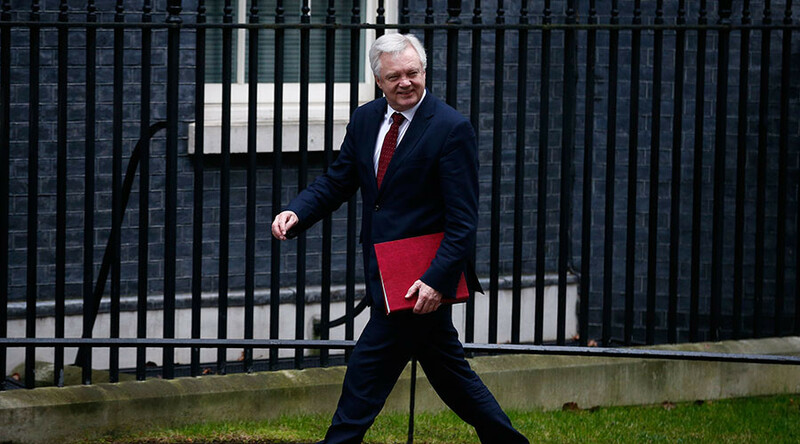 In the preface to the document, Brexit minister David Davis said: “The people of the United Kingdom have voted to leave the EU and this government will respect their wishes. Davis says the UK is approaching negotiations from a “unique position.” He says Britain’s “resilient economy” means it enters into talks from a position of strength.